New year, new me...no literally! 2018 has already thrown me some curveballs! I am keeping positive and rolling with the punches! Today I sat down to sort our 1.7 million pictures from our recent trip to New York! As I scrolled through photo after photo, a feeling of peace and freshness came over me! There is something unapologetically brutal and beautiful about the city! It truly is a place where dreams are birthed, hard work is tested and success is measured in late nights, tears, sweat and hustle! This is what I am currently feeling! As I sit on the doorstep of the first week of 2018 I feel an urge to hustle like never before! I have never been the kind of person to sit idly by as dreams and goals slip away! Hardwork is a nonnegotiable! It is so easy in the rush of life to lose inspiration. The balance of creativity and the day to day monotony in life is to say the least hard as heck. 2017 was such a comfortable year. I found myself able to breath in the rhythm of its predictability and contentment. However, I also felt my creativity and inspiration lulled to predictability and contentment. But, sitting at a bistro table in the middle of Maddison Square Park, I realized something...my inspiration was back! Suddenly my senses were heightened and I was aware that I was in an amazing city interacting with its own peculiar version of nature! 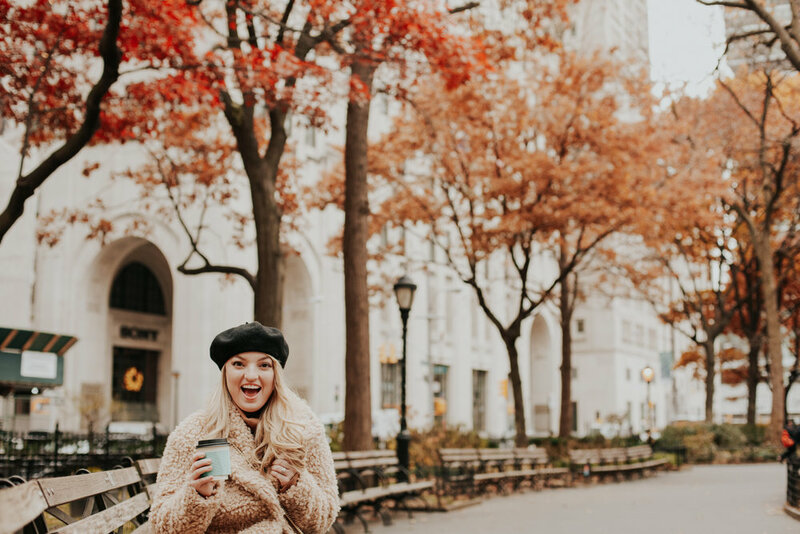 I watched pigeons peck the ground eating bits of old bagel, New Yorkers rushing about the sidewalk disturbing the beautifully fallin leaves and the brisk chill in the air that enveloped and comforted me like my favorite blanket. This was not my first trip to New York, but it was the first time I really took time to interact with New York! Part of the reason I enjoy travel so much is it gives me the chance to connect with a new place and new people that are completely unlike my normal environment! I always find fresh inspiration whenever we travel! Each time we travel I find my urge to imagine, explore and create overwhelming! I know it is reflected in the content I create, the outfits I put together and the videos we make! I have a feeling that 2018 is going to be a very special year full of curveballs, which isn’t always a bad thing! Change is a good thing! I have to recite that to myself at times and then pray for God to give me grace for the roller coaster of change! I hope that you’re having a wonderful 2018 so far! I also hope you enjoy seeing these New York photos. Scrolling through them brings back that old familiar feeling of charm and enchantment! My heart is full of love letters to this amazing city! 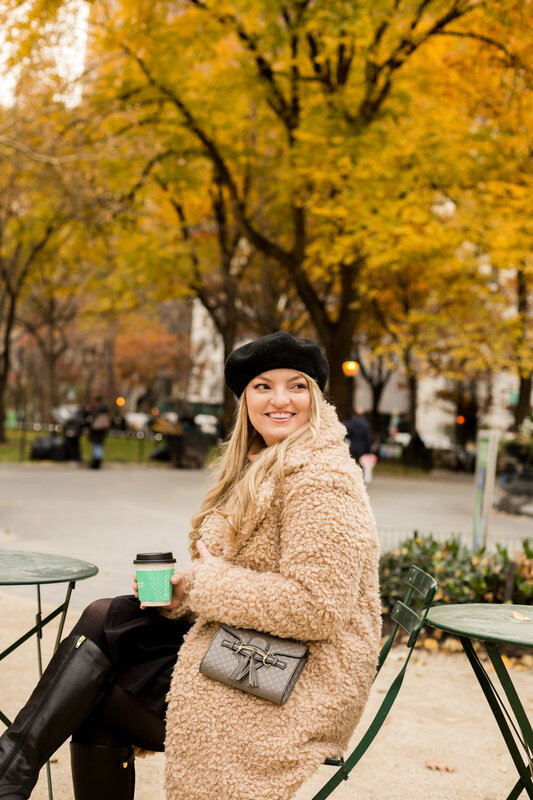 Thank you so much for stopping by the blog! I so appreciate those of you who take the time to come here! Thank you thank you! I have some exciting things planned for new posts and my Instagram! If you are not already, I would absolutely love if you would follow me on Instagram! I would also recommend keeping an eye on my Instagram stories as I have some very exciting things coming up over there! Until next time! I hope you all have a great week!